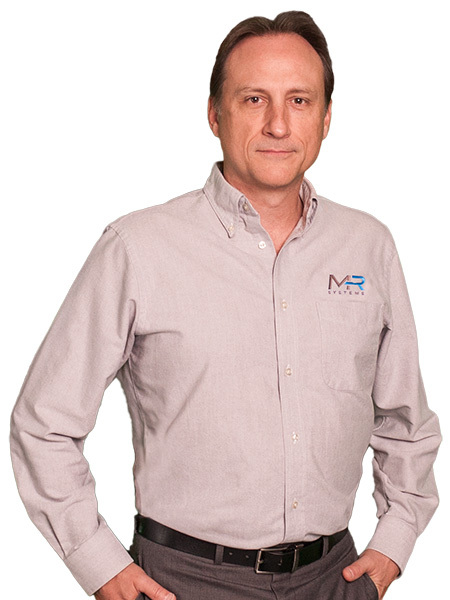 As the Chief Information and Technology Officer at MR, I work hard to make sure that our internal IT operations run smoothly. I am responsible for the company’s internal information technology, computer and business systems, as well as the hardware and software technology that enhance the company’s product offerings. I have been with MR since 2001, beginning as a software engineer. In my tenure here, I have witnessed tremendous growth and get to work with the best team I could ask for. Math and Computer Science from North Carolina State Univ, A.S. Engineering from Sandhills CC; Certifications: Hirschmann Industrial Ethernet Specialist, (CCA) Certified Citrix Administrator, Wonderware InTouch Certification. In my free time I enjoy building things. You can always bet that I have the tool you need from any job--If there’s a tool for it, I probably have it. I’m also an avid golfer.